Bindery Services - The most comprehensive ever! 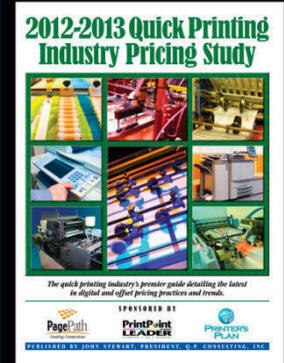 ORDER YOUR COPY today and be among the first in the industry to read about the latest pricing trends in our industry, information that can result in putting thousands of additional dollars to your company's bottom line. We analyze pricing both on a national level and by region and note the differences, if any. Plus, we provide both total prices and price per unit when needed to make your job that much easier. PDF versions are are available and are transmitted almost immediately upon receipt of order.